Online banking, any day, anytime and anywhere has made life simpler and convenient. Visits to the bank are now redundant, with the same services offered at the click of a mouse. People are using it to shop online, to book rail and air tickets and transfer money across cities and countries However, while online banking is a boon, being safe while conducting online banking is very important. Unsafe online banking may lead to financial losses or even scams! Convenience comes at a risk. Fraudsters can steal your personal data and you could be the victim of a cyber crime in several ways. Fishing out sensitive user information such as your credit card or bank account number and password by masquerading (Camouflaged) as a trustworthy entity. This usually is an email with clickable hyper link. This email comes to your inbox with a familiar bank name as a disguise. Email such as, million dollar lottery or “want to transfer money to India, my friend, help me” are a sent to get all private information from the recipient. More sophisticated attacks involve installing 'spyware' and 'Trojans' (software that spy on what is going on in your PC), through web links and e-mail attachments to collect information from your PC. Always check the URL of your bank's web site as Fraudsters can lure you to enter your user ID and password at a fake web site that resembles your bank. Never enter your user ID or password or such sensitive information without ascertaining that you are on the right web site. 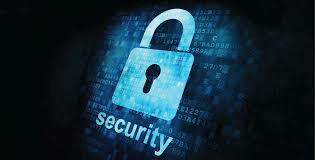 Check your bank's Internet policy regarding security features in Internet banking. For example, if the money that you want transferred to another account exceeds a particular sum, you will need to enter a specific password for high value deals to validate the transaction. Keep changing your password at least once a month or earlier. Try to have an alphanumeric password that combines alphabets and numbers and avoid easy-to-guess passwords, like first names, birthdays and telephone numbers. Close the browser after you log out the online banking portal to ensure that your secure session is terminated. Install a personal firewall to help prevent hackers from gaining unauthorized access to your home computer and check that your anti-virus software is regularly updated. Many banks have a 'last logged in' panel on their web sites and if you notice irregularities, report the matter at once to the bank and change your password immediately. Don't use the embedded links in any e-mail to get to any web page instead type the link address (URL) in your web browser. Don't leave the computer unattended after keying in information while transacting on the web site. Don't fill out forms in e-mail messages that ask for personal financial information, like account or credit card numbers, passwords etc. Don't select the option on browser that stores or retains user name and password (ie Auto Complete). Remember, your Bank expects you to take the basic precautions while banking online. If you incur a loss due to negligence, you may not be able to claim any damages from the bank, howsoever faulty the bank's online portal is.